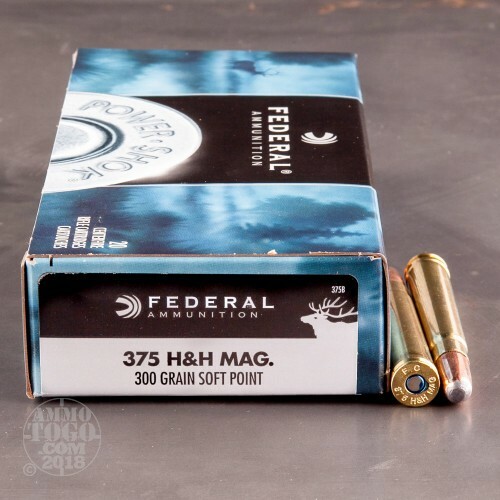 The 375 H&H Mag is an incredibly versatile cartridge, due in no small part to its great efficacy at bringing down earth’s largest and most dangerous game. 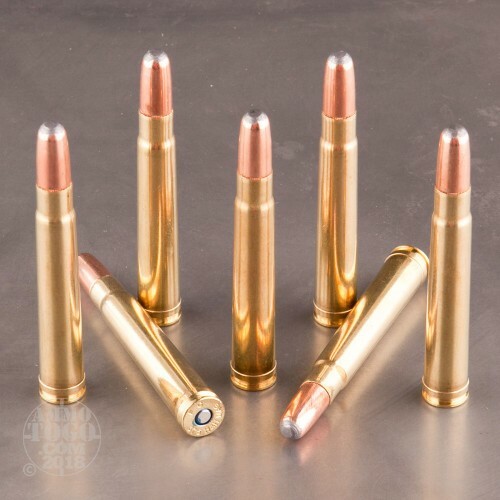 You can use a 375 H&H Mag to hunt for rabbit, even if it’d be a bit overkill, but you’ll wind up very disappointed and shortly thereafter dinner if you use a 410 Bore shell with a half ounce of #8 lead shot to hunt lion. 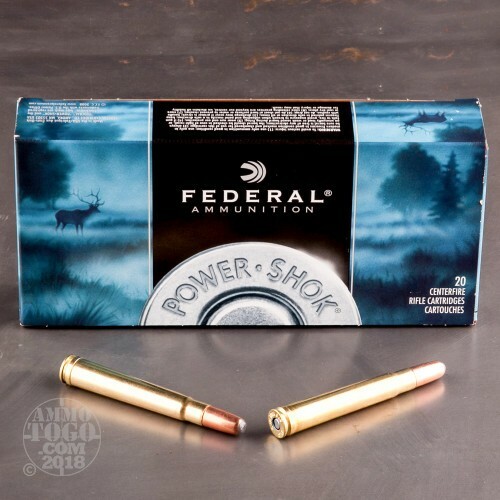 This round from Federal’s Power-Shok line of ammunition sports a relatively heavy 300 grain projectile, which along with its round nose profile enables it to deliver thoroughly destructive energy upon impact. 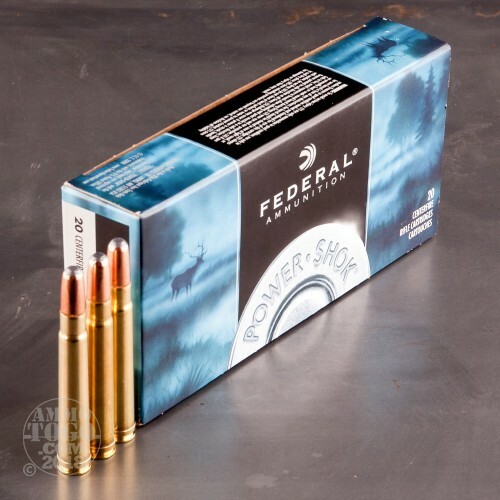 This is a soft point bullet as well, so it’ll deform considerably as it tunnels through your game’s hide, helped along the way by its partial jacket which controls expansion. Alaskan game guides very frequently favor rounds like this one for polar bear -- that ought to sum up how effective it’ll be during your next hunt.